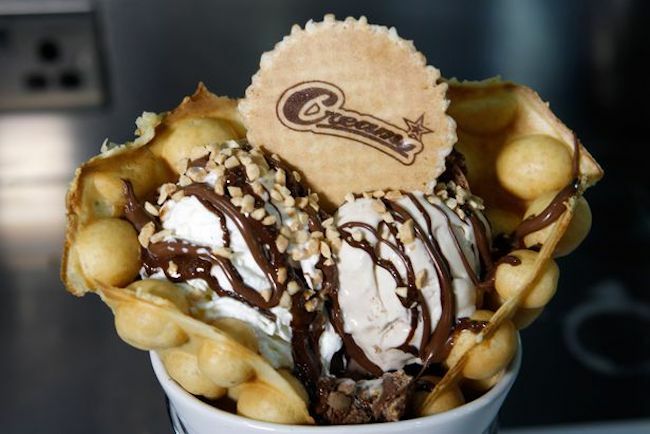 It just occurred to me that Creams would be a great name for a gay pub. (but he hasn’t found a pub by that name). 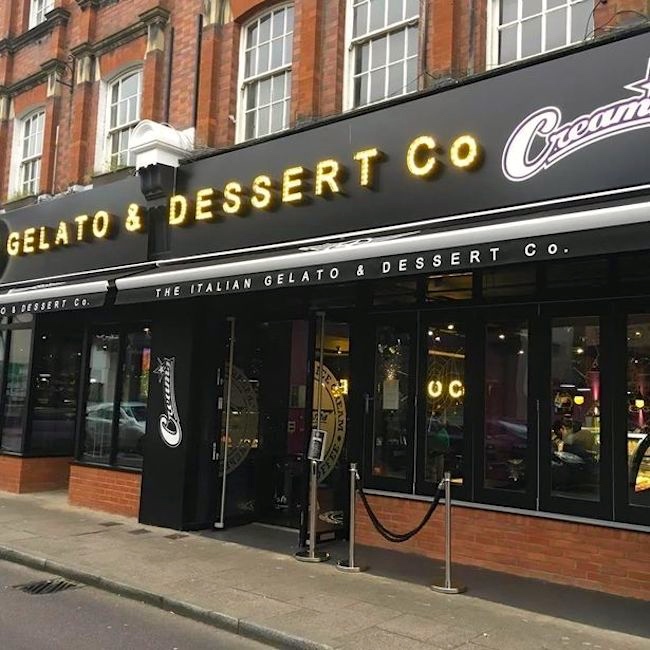 Then I discovered that this musing was posted on the occasion of his visiting Creams Cafe (a dessert shop specializing in Italian gelato) in Liverpool. The Stud is a gay bar located in South of Market, San Francisco. It was started by associates George Matson and Richard Conroy on May 27, 1966. According to George Matson it was a “bar for people, not just pretty bodies”. 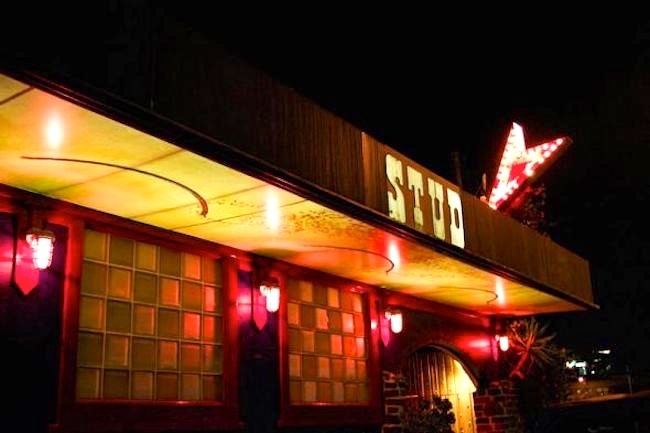 Originally the Stud was located at the western end of Folsom Street and in 1987 moved to its current location at Ninth Street and Harrison Street. 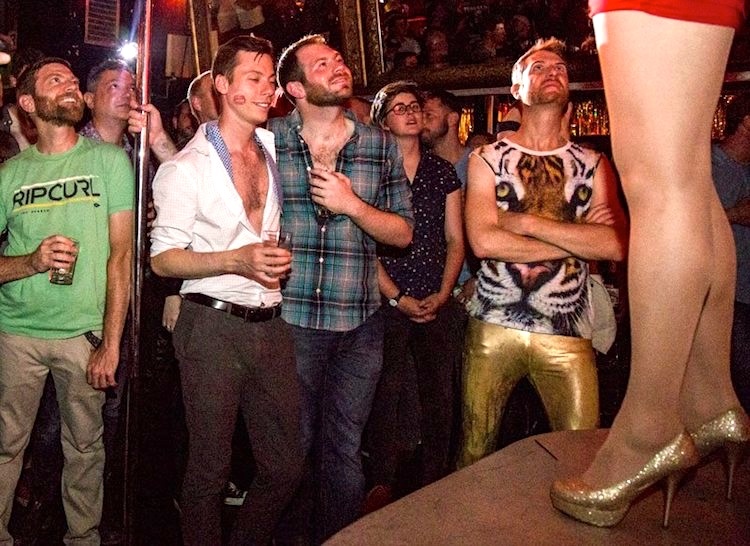 The Stud is known for their themed parties, drag and burlesque shows, and community events. It was also home of the famous Trannyshack, a weekly drag show that featured all different types of drag and drag stars from 1996 until 2008. In my 12/9/10 posting “A note on Mineshaft and Toolbox”, comments on these two sexually suggestive names. The Tool Box is the name of the gay bar in the movie Wayne’s World 2. And the Blue Oyster Bar is the gay bar in the Police Academy films; discussion in my 11/19/15 posting “Rushing Sugar”. Other notably unsubtle names: Ramrod, Manhole, Cockpit. This entry was posted on August 4, 2018 at 8:12 pm and is filed under Gender and sexuality, Homosexuality, Language and food, Language and the body, Names. You can follow any responses to this entry through the RSS 2.0 feed. You can leave a response, or trackback from your own site.